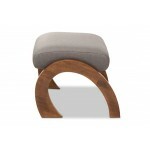 Add some excitement to your space with the Sandrine ottoman. The modern and contemporary-inspired design comes through in its solid coloring and unique silhouette. The Sandrine features curved, arched legs in an energetic, swooping design. 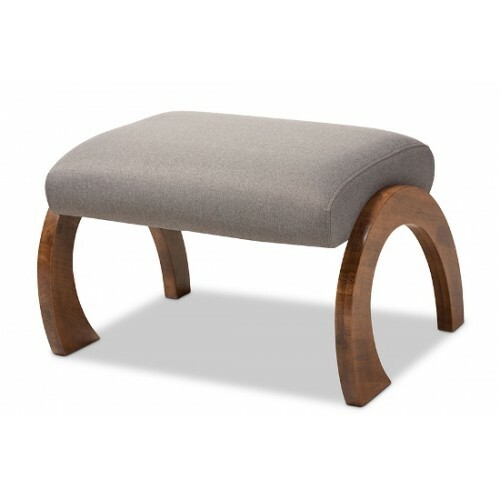 The legs are walnut-finished solid rubberwood, giving this ottoman lasting stability. 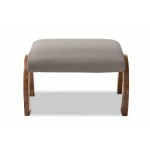 The seat of the Sandrine is foam-padded and upholstered in grey fabric. 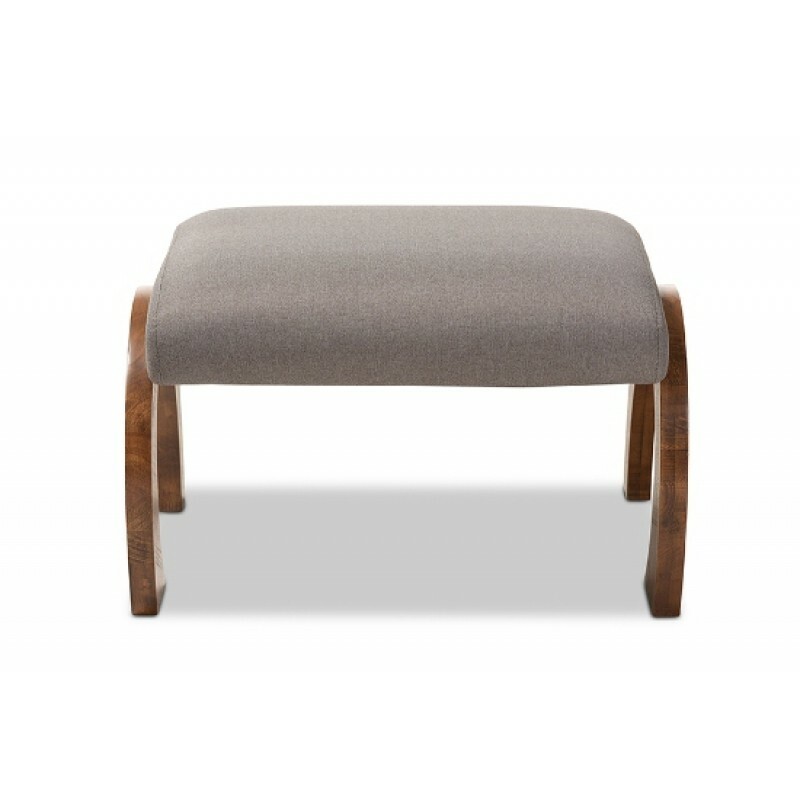 This ottoman will be a great conversation starter and statement piece for use in your livingroom, entryway, or other shared spaces. Made in Malaysia, the Sandrine requires assembly.